I managed to finish something again! Hooray. There are so many unfinished projects which are almost done but do you think I can bring myself to end them? So, Wearing History had a black Friday sale and I was already playing with the idea of buying the Edwardian bust improver for a long time. And during black Friday sale I thought, why not and finally bought it. The parts were printed at work and I started to cut out everything on Wednesday. 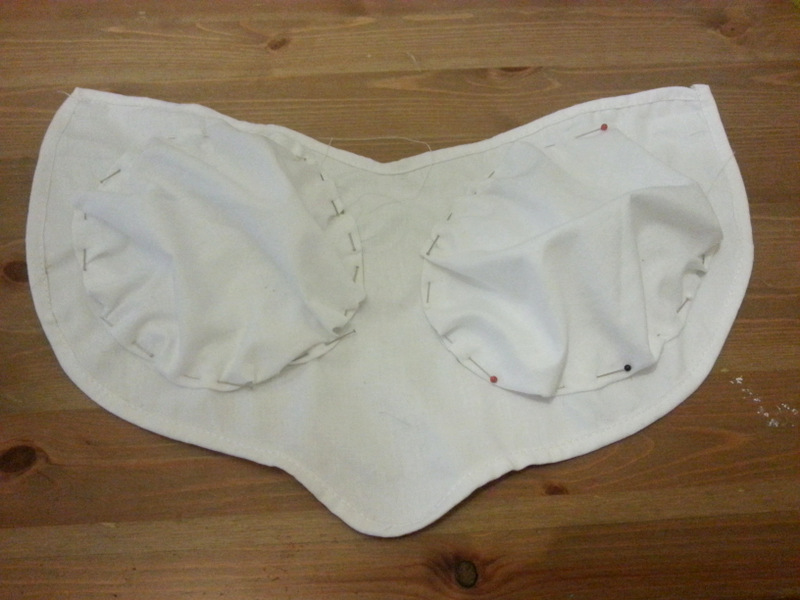 On Thursday I continued a bit after my Social Media class and today, on Friday, I finished the last seams. 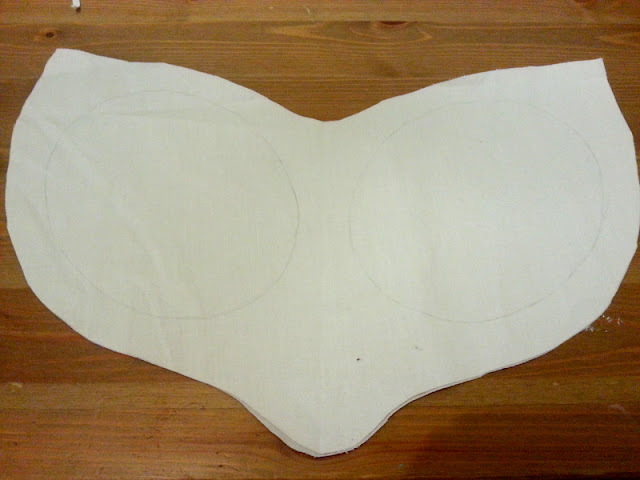 I used a very thin cotton fabric because I actually only wanted to make a mock up first. But then I said, whatever and my mock up turned into my final piece. 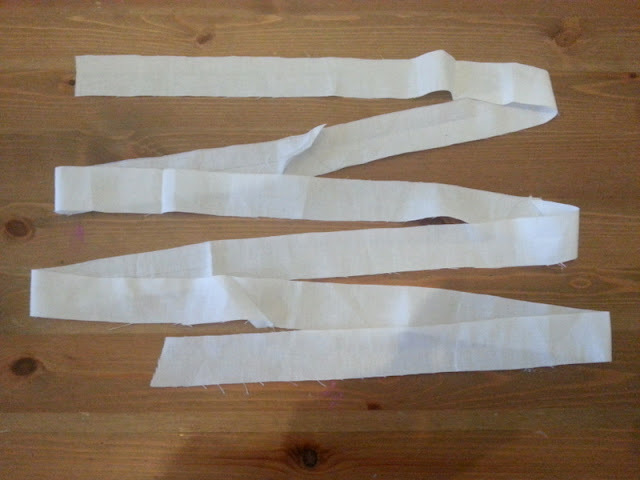 I also made my double fold bias tape with the fabric. The instruction called for one with 1,5cm (I think it was 3/8 inch?) and I made a 3cm tape at first because I thought they wanted 1,5cm for one side. Yeah. It was late and I was tired. Fiddling with the round parts to get them fit the markings was time consuming. And I hated it. In the end they turned out to be uneven anyway even though it looked really even at first. No idea what happened while sewing. After sewing I stuffed the pads. The it was time for the lace. 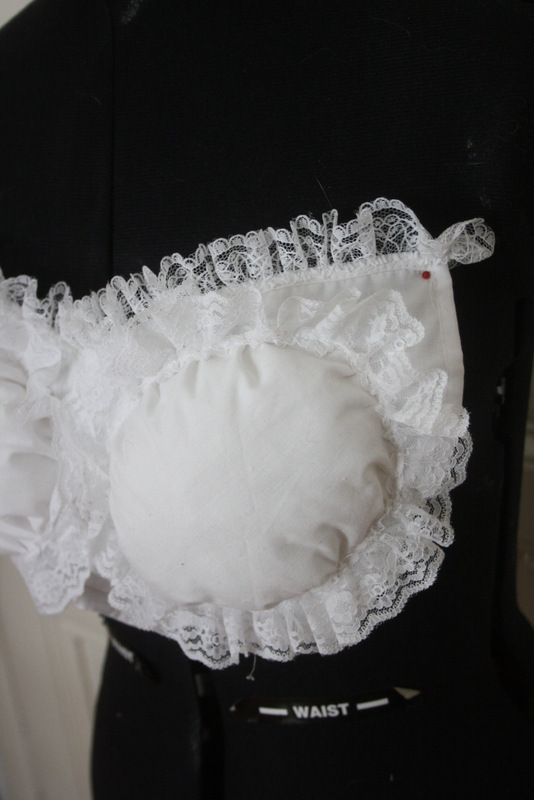 With the lace it suddenly looked to frilly. Maybe a bit too frilly? 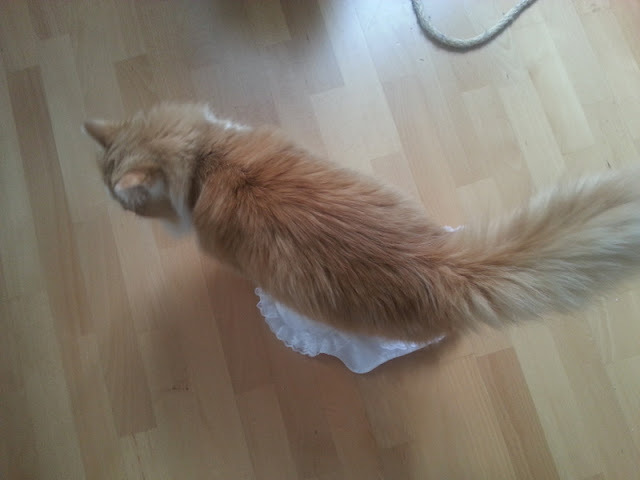 But the instruction didn't say how wide the ribbon should be. So I just went with it. I also added lace on the top and I was done. Hooray. And who thought it was a good idea to sit on the bust improver when I tried to do pictures on the floor? My fluffy monster Maja. Here is the finished product on my doll. I still have my Edwardian corset mock-up and it fit perfectly underneath.